Timi Sanni is a nonfiction writer and poet, with over eight years of creative writing experience. His works have been published on many literary platforms including SLM, Allpoetry, and Nantygreens. 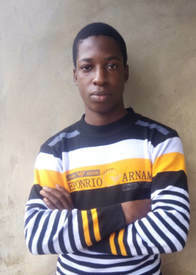 He is a member of Writers' Group and ANSA, Association of Nigerian Student Authors. His short story, "The Good Things Are No More" won the ANSA Short Story of the Month, Sept. 2018 and was also shortlisted for the #Ifoundit contest 2018. He is an ANSA award-winning writer and a certified creative writing coach. Apart from writing, Timi likes to paint.